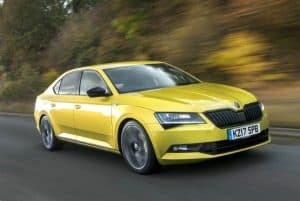 It is safe to say that Skoda has long since shaken off its old reputation for scraping the bottom of the car market barrel. Instead, it has been continually innovating to produce high quality vehicles and has done so again. The latest model is the civilian armoured Superb Estate 2.0 TDI 190PS, which has been developed by Skoda UK. Based on the original Superb Estate 2.0 TDI 190PS, this latest version is bullet and blast-proof, yet looks just like the model it is based on. The new Skoda, which has been three years in the making, features bullet-proof glass and a body made from super-strength steel and composite materials. Yet at the same time, it still retains its internal qualities and comfort; the five-seater cabin, large boot and high manufacturing quality all remain. While the car has been tested to PAS 300 requirements to demonstrate it can withstand almost anything that is thrown at it, every care has been taken to ensure this durability includes remaining mobile even after tyres have been blown out, ensuring the driver can reach a place of safety. Of course, the typical fleet driver will not expect to be driving to or from work through a war zone. Nor would the price tag of £118,688 on the road be the kind most companies or individuals would pay although, presumably, the sort of person who readily has that sort of cash might also be an assassination target. Instead, what might be noted about this latest Skoda is that, once again, the company has demonstrated it is leaving no stone unturned in developing new forms of resilience and durability. That, of course, may be subsequently incorporated into other Skoda cars to further enhance the experience of driving the most improved brand in the marketplace. After all, features like the capacity of a car to keep moving after a burst tyre are not just handy in a war zone; it could also be extremely helpful in a more mundation situation such as a puncture on a highway, as it may be possible to drive on to a nearby garage. Molly Benton, brand manager at Fuel Card Services, comments: "Yet again, Skoda has shown that it is now one of the most innovative car manufacturers around."